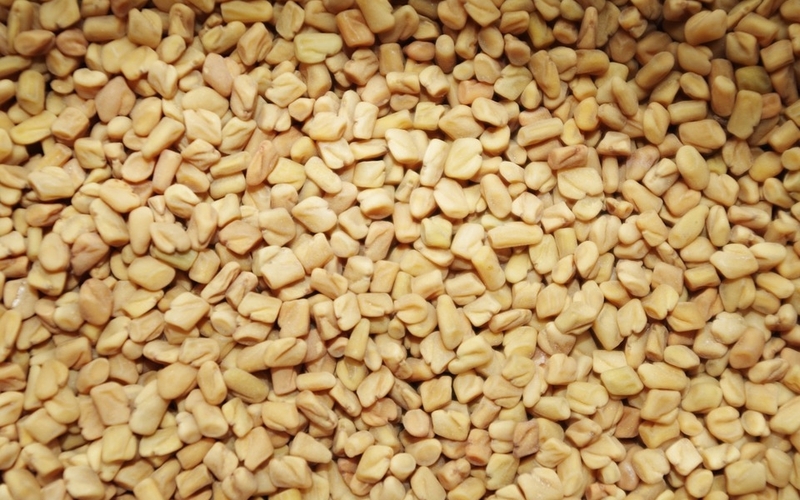 Fenugreek is a semi-arid crop which is cultivated in India, Afghanistan, Pakistan, Iran, Nepal, Bangladesh, Argentina, Egypt, France, Spain, Turkey, and Morocco, and is thought to have originated as a crop in the Near East as far back as 4000 BCE. Traditionally used by men to enhance libido and masculinity and for increasing milk production in breastfeeding women, fenugreek is rising again as an herbal supplement today and is becoming popular for its apparent effectiveness in preventing spikes in blood sugar and for aiding in the treatment of an assortment of problems from stomach issues like an upset stomach and inflammation to heart problems like hardening of the arteries and even for reducing high levels of fat in the flood like cholesterols and triglycerides. An interesting fact about fenugreek is that, due to a chemical known as sotolon, consuming large doses of fenugreek can cause bodily excretions, including urine, to smell like maple syrup. In fact, the herb is known to have a sweet taste like syrup and has been used traditionally to mask the flavors of other medicines. A growing number of health benefits are being attributed to this Eastern herb, although many of them are as of yet unverified through scientific study. Included in the variety of health issues fenugreek is used to treat are: boils, mouth ulcers, cellulitis, tuberculosis, cancer, chapped lips, issues with the kidneys, chronic coughs, and lowering blood sugar in diabetics. As a poultice, it is used to treat local pain and swelling, muscle pain, wounds, eczema and skin ulcers. Warning: In studies, fenugreek is suspected of causing birth defects in large doses. Although safe to take as a supplement to increase milk production, it’s not recommended to take the herb during pregnancy, as it can also result in early contractions. While many of fenugreek’s alleged health benefits have yet to be proven through scientific method, the observations of believers throughout history cannot simply be ignored. In the evaluation, and proving, of some of its benefits, it’s probably safe to conclude that fenugreek seems to have a positive effect on all metabolic processes within the body. This would explain a great many of the benefits that are attributed to the herb, and it’s likely that not very long from now, fenugreek will be the next superfood being touted by herbalists and medical professionals alike.